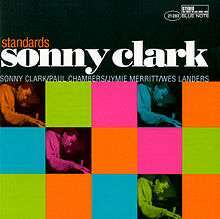 Standards is a 1998 compilation album by jazz pianist Sonny Clark recorded for the Blue Note label and performed by Clark with Jymie Merritt or Paul Chambers, and Wes Landers, combining sessions previously released as The Art of The Trio and Blues in the Night. The album was awarded 3 stars by Stephen Thomas Erlewine in an Allmusic review which stated "Although some of the performances are a little brief, limiting his opportunity to solo, Standards is a lovely collection of beautiful music that's a welcome addition to Clark's catalog". 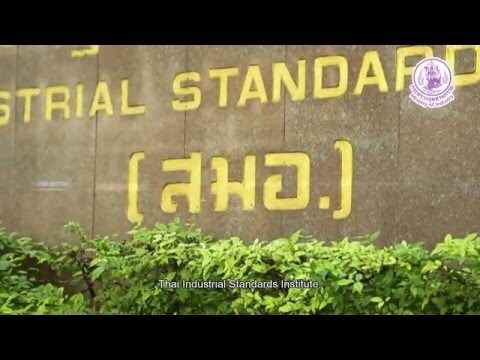 Standards is an album by American jazz reedist Ken Vandermark, which was recorded in 1994 and released on the Quinnah label. In the four sessions that produced the record, Vandermark chose from the large number of colleagues with whom he's got ongoing relationships and mix-and-matched them in four new improvising trios with different instrumental combinations. The initial inspiration for the project came for a similar one undertaken by German bassist Peter Kowald and a monthly series of improvisations called "Head Exam" at Chicago's HotHouse modelled after Derek Bailey's Company Week, which uses a free format to get people who don't usually play together to collaborate. The first lineup, with longtime partner bassist Kent Kessler and new associate drummer Hamid Drake, would be named later DKV Trio. Vandermark wanted to pair himself with another reed player and he choosed NRG Ensemble co-saxophonist Mars Williams and asked Vandermark Quartet drummer Michael Zerang to join them. For the third combination, he is joined by Jim Baker, pianist in Caffeine, and Vandermark Quartet guitarist and violinist Daniel Scanlan. The last trio includes tabletop guitarist Kevin Drumm and percussionist Steve Hunt, third leg of Caffeine and drummer for the NRG Ensemble.